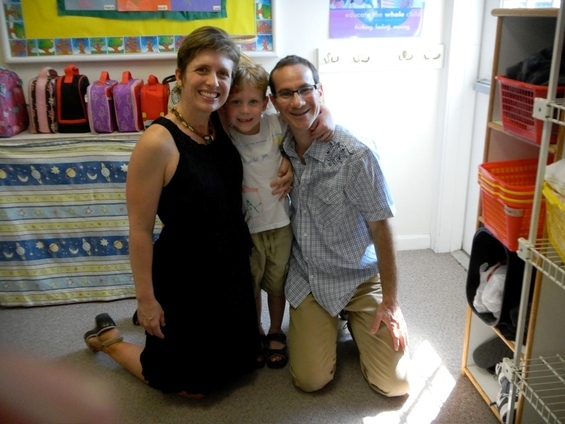 Five years ago this week I started on my Jewish parenting journey when my son was born. As an interfaith couple we had decided to raise a Jewish family, but neither of us had specific traditions we felt we had to observe, and therefore we had an open road map for the paths we might take. We knew we were having a boy, but we didn’t know whether we wanted family from far and wide to come and visit a mere week after his birth, as they would if we held a bris according to the traditional schedule. We consulted with a Rabbi with whom we had studied in a class offered through the Union for Reform Judaism. She talked to us about the traditions of a bris, and gave us suggestions for how we could integrate them with our family’s needs, beliefs and abilities. Through these discussions we were able to honor our newborn son in a way that was comfortable for us, and that gave him a starting point for his own Jewish journey. Shortly after he was born, I started attending a Parenting Through a Jewish Lens class, then known as Ikkarim.